I've been to RumFire before for their delightful Spiked Afternoon Tea, and during our family's staycation at Sheraton Waikiki over the weekend, we dined there for an early dinner during Happy Hour one evening. The Happy Hour (4pm-5pm daily, excludes holidays) prices were such a deal. $6 for the Kim Chee Fried Rice, and $10 for the Nachos. 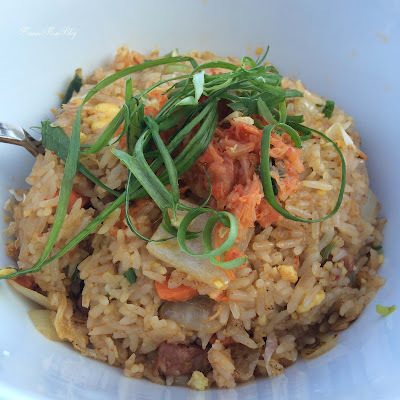 The Kim Chee Fried Rice was super delish. A generous serving of spicy Fried Rice was full of Portuguese Sausage, Eggs, Onions, and Kim Chee. 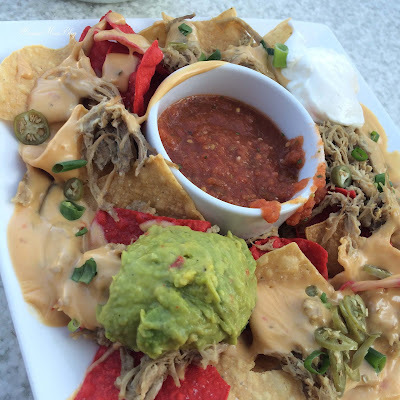 Although we wished the Nachos came with more chips, my husband and I devoured the tri-Colored Chips topped with faves like Kalua Pork, Sour Cream, Cheese Sauce, Onions, and Guacamole. 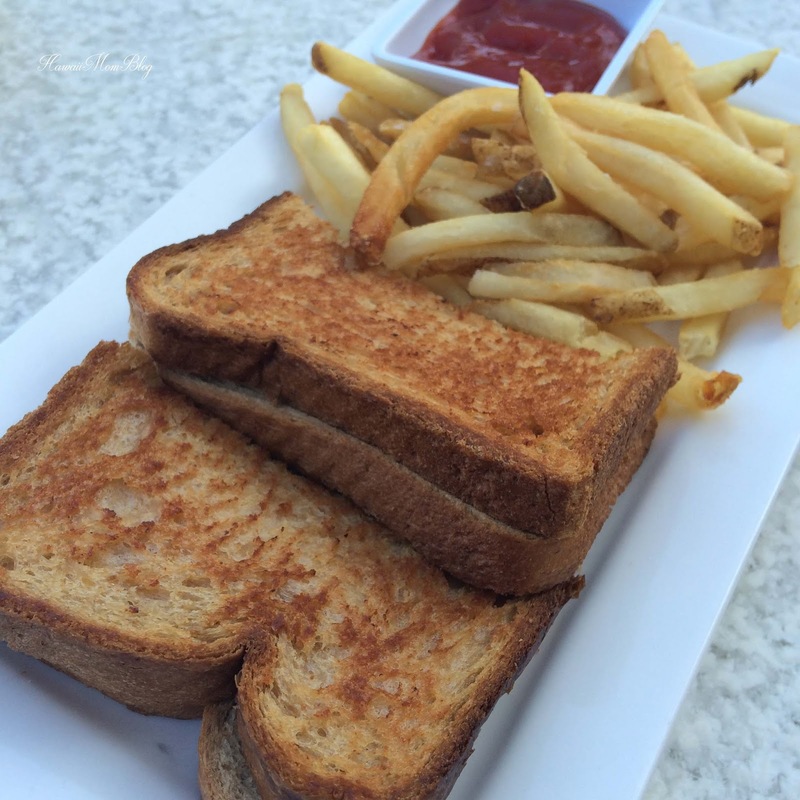 The Keiki Grilled Cheese and Fries were $8, and although pricey in comparison to what we ordered off of the Happy Hour Menu, I love that Keiki Meals are offered at RumFire. 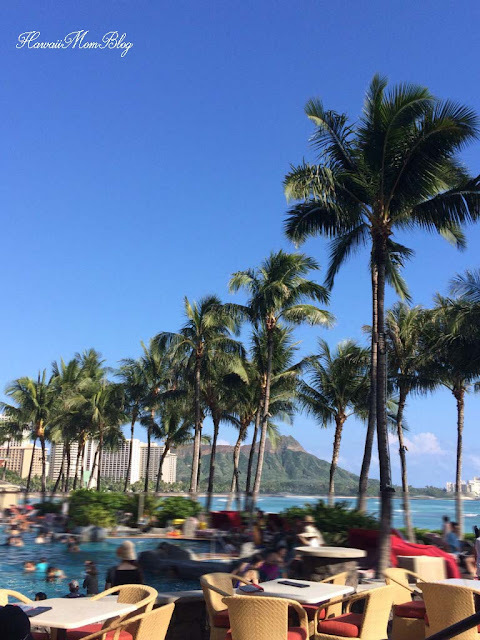 Service was good, the view gorgeous, and the Happy Hour Deals are excellent! Thank you to Starwood Hotels & Resorts Hawaii for sponsoring our meal. Gratuity was paid on our own.